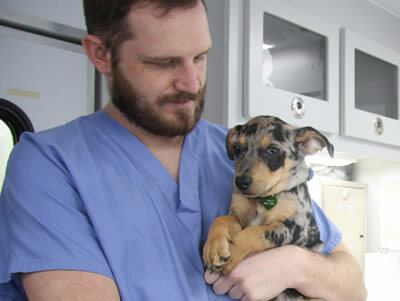 These programs guarantee acceptance into the MU College of Veterinary Medicine upon satisfactory completion of minimum standards if admitted to the Scholars program. High school seniors and MU freshmen with an ACT composite score of at least 30 or an equivalent SAT score are eligible to apply for the PVM Scholars Program. The required minimum ACT score for AgScholars is 27 and have demonstrated experience in livestock production and health. Application forms will be available in the Office of Academic Affairs in the College of Veterinary Medicine. The application deadlines are April 1 for high school seniors and Sept. 15 for MU freshman. Students qualifying for the Scholars Programs will be assigned a faculty mentor in the College of Veterinary Medicine. Whenever possible, Scholars Program students will be invited to participate in veterinary medical research projects and other appropriate events in the College of Veterinary Medicine.